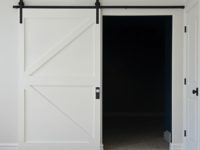 Barn doors are a great way to channel the farmhouse decor and benefit from maximized space as well. 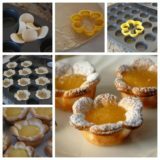 Their sliding mechanism is simple and convenient when you’re going for a unique look that isn’t space-consuming. 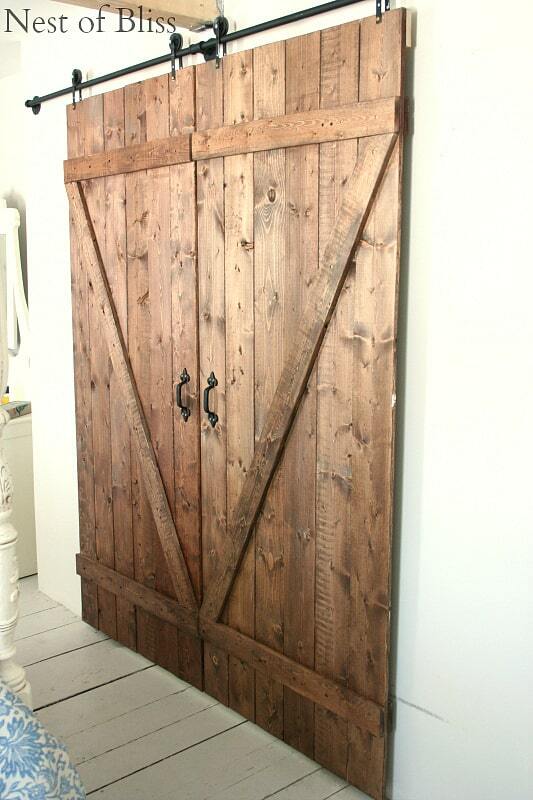 Within the home, barn doors are great for closets, kitchens and bedrooms. 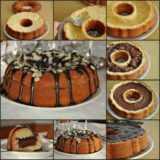 They will separate the space in an innovative way and significantly contribute to your interior. 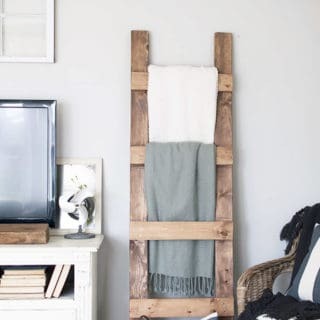 Take a look at these beautiful DIY barn doors and bring them alive inside of your home! 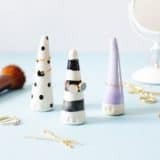 Decorating a home can be an expensive adventure, but if you’re DIY savvy you know that homemade interior pieces are usually way better than store bought-ones. 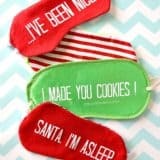 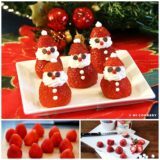 Not only can you personalize them as you wish, they are also much more affordable. 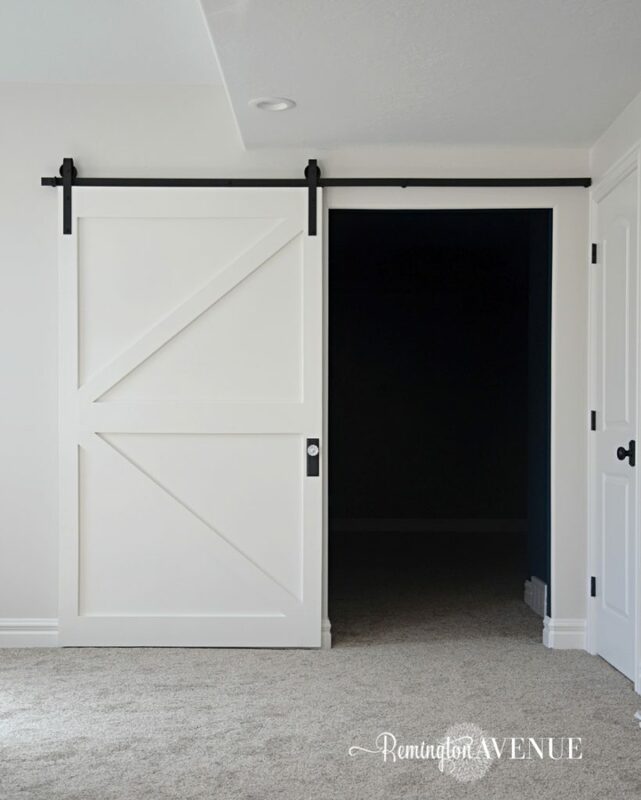 Visit Remington Avenue to learn how you can make a British brace barn door for just 50$! 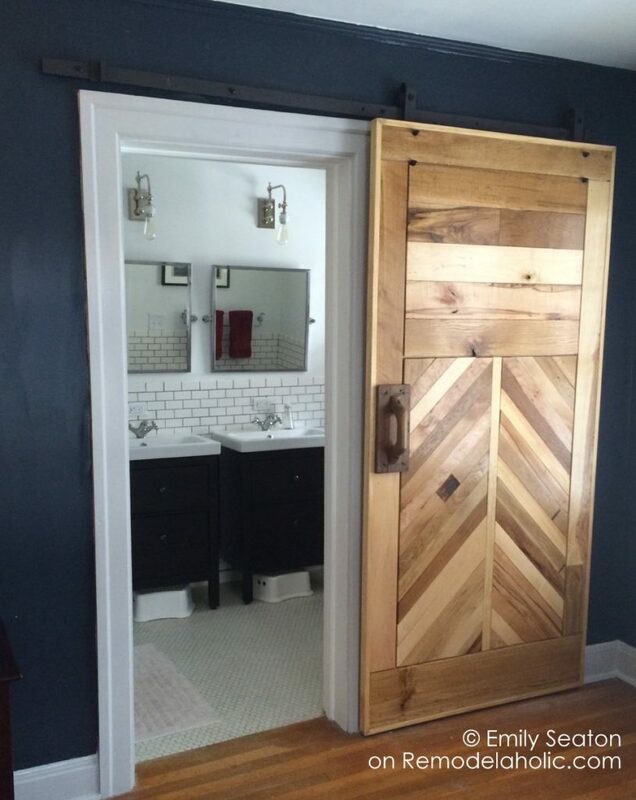 The best part about making your own barn door is that you can create it in a way that fits your vision. 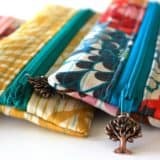 If you have a pattern that you really like, make sure to include it in the design! 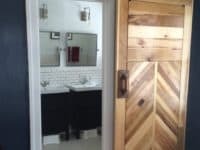 Remodelaholic made a wooden barn door with a recognizable and dynamic chevron pattern. 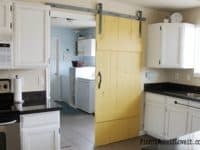 If you love the concept of barn doors but don’t really need any new big additions in your home, you can still make the best of the sliding door concept by including it in your furniture. 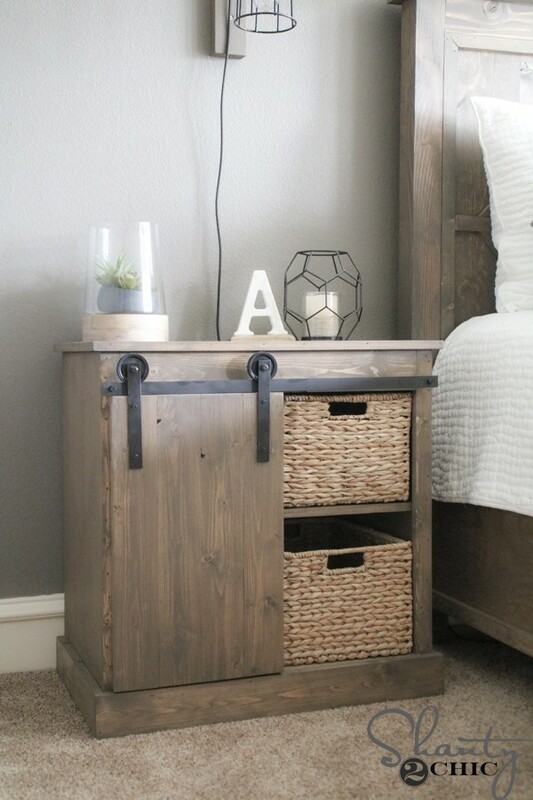 Visit Shanty 2 Chic to see how a barn door inspired nightstand is made! 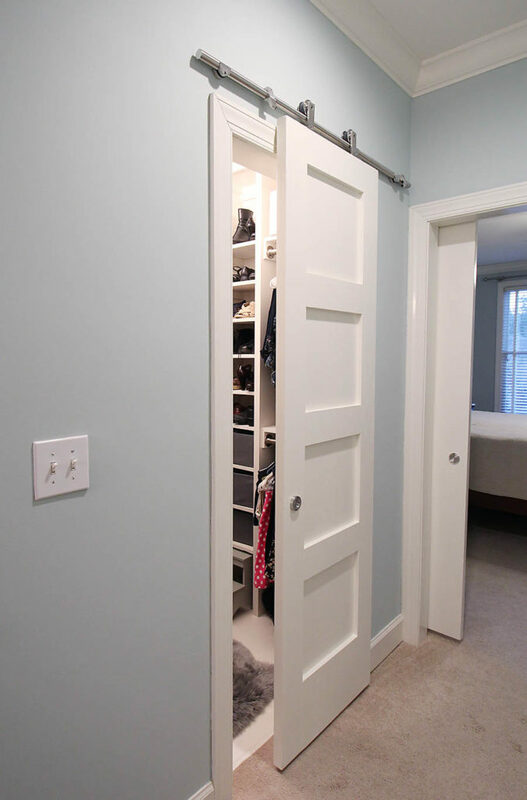 A barn door is a great closing mechanism for a closet. 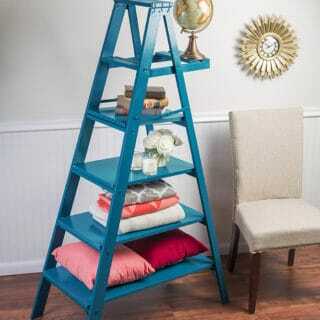 It’s innovative and space-saving, ideal for narrow hallways that open into an even narrower closet space. 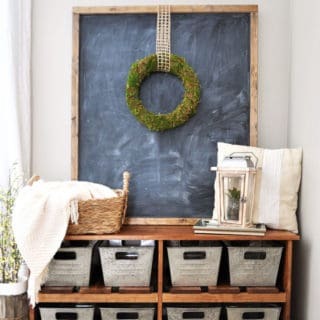 Choose a minimalist four panel design, as shown by Paper Daisy Design, when creating a modern barn door! 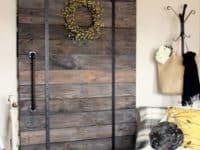 If you are serious about honoring the classic barn door in all of its glory, Brandi Sawyer‘s rustic version will make you very happy. 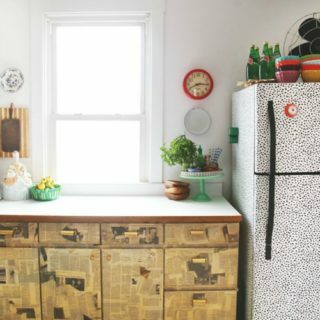 The big doors take over the whole space with their recognizable and traditional wooden, turning your home into a modern cozy farmhouse. 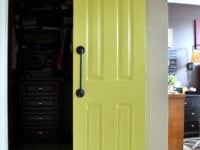 Need to divide your kitchen but don’t think you can afford to sacrifice the space needed for classic doors? 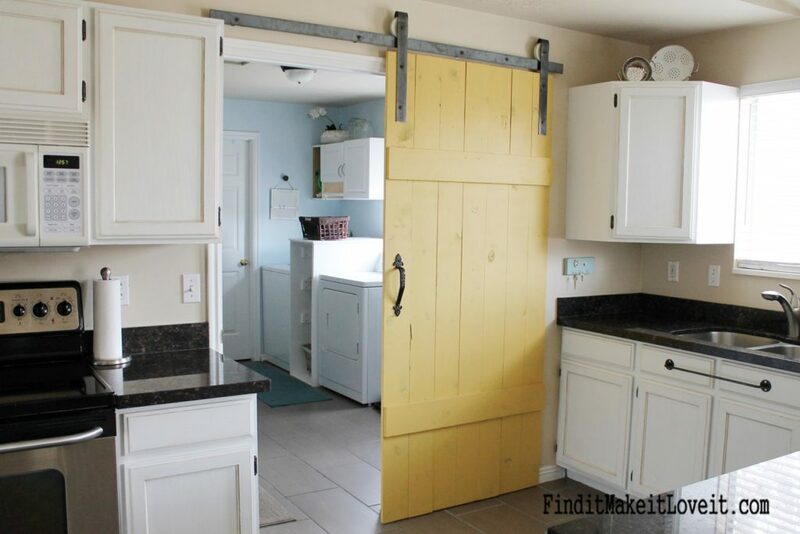 Find It Make It Love It will show you how a bright barn door can fit into a kitchen and make a big impact! 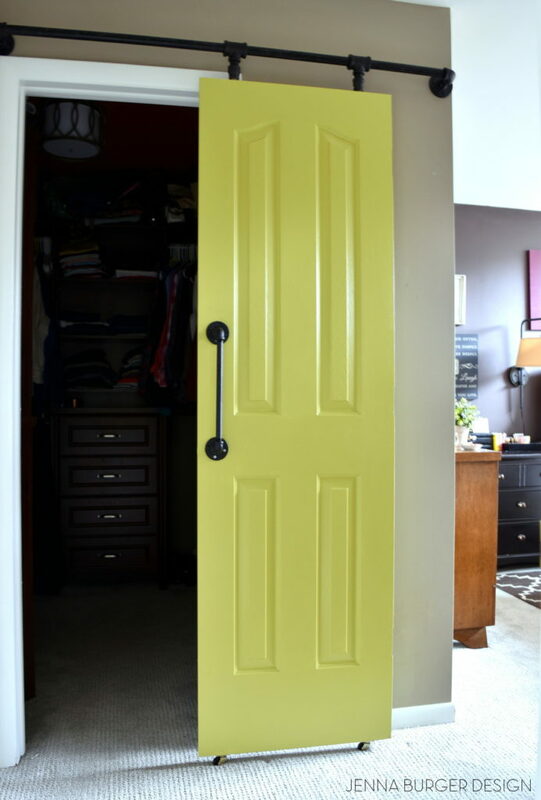 We love the pastel color of the door and old-fashioned look it gives the whole space. 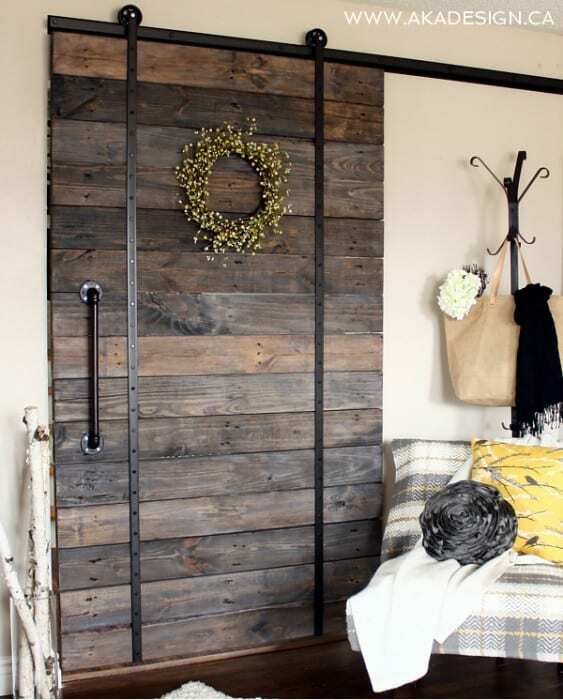 Despite the countryside appeal of the barn door, you can still make it look very modern and stylish. 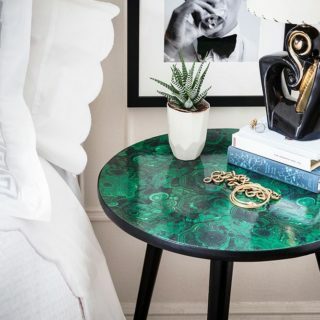 The secret lies in the paint – if you choose something bright and uplifting it’s going to emphasize the modern style of your home. 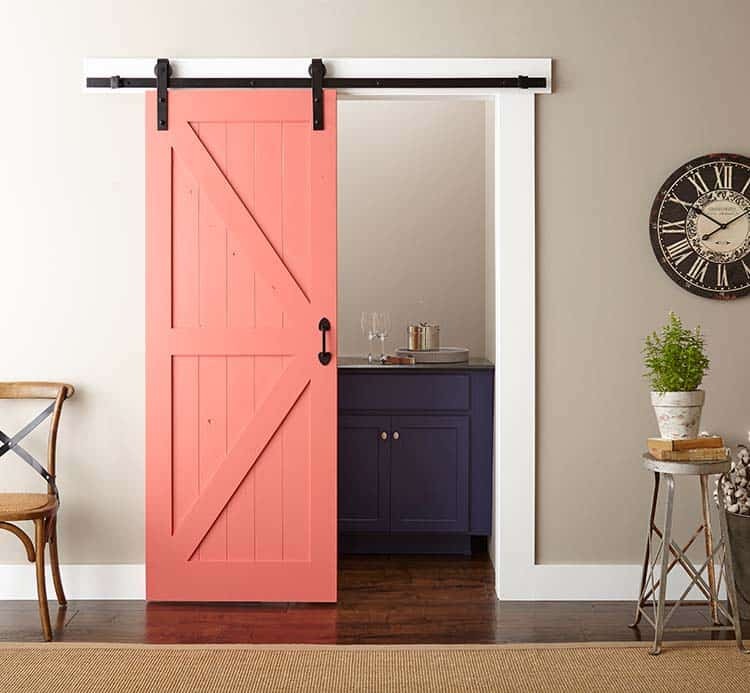 Find out how to make a contemporary pink barn door at The Home Depot Blog! 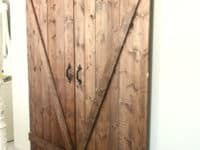 If you stumble upon wood that has already served its purpose and is just waiting to be thrown away, save it and repurpose it by making your very own wooden barn door! 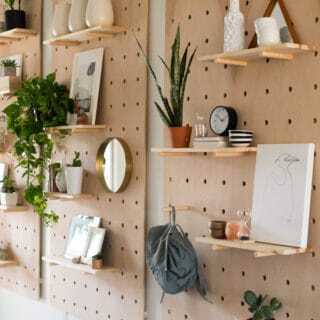 The process is very simple, as you’ll see at Aka Designs, and your home benefits from having a big and defining wooden door bringing just the right amount of rustic into the living space. 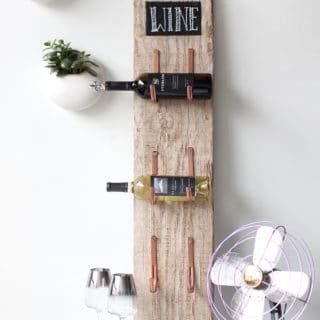 Speaking of upcycling in the name of barn doors, did you know you can make the hardware for the door from plumbing pipes? 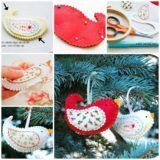 This is a simple solution that will save you a lot money and probably some headache too – especially if you follow the instructions at Jenna Burger Design! 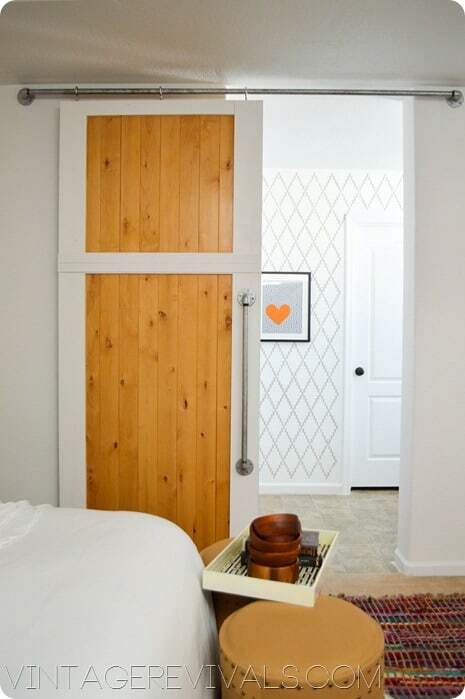 A simplistic and elegant barn door is perfect for the bedroom! 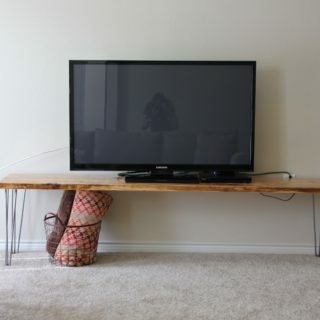 The combination of white paint and polished light wood is absolutely beautiful. 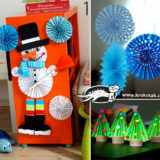 It will give your bedroom a special charm and a unique entrance. 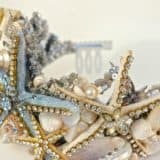 You can find out all the details at Vintage Revivals!